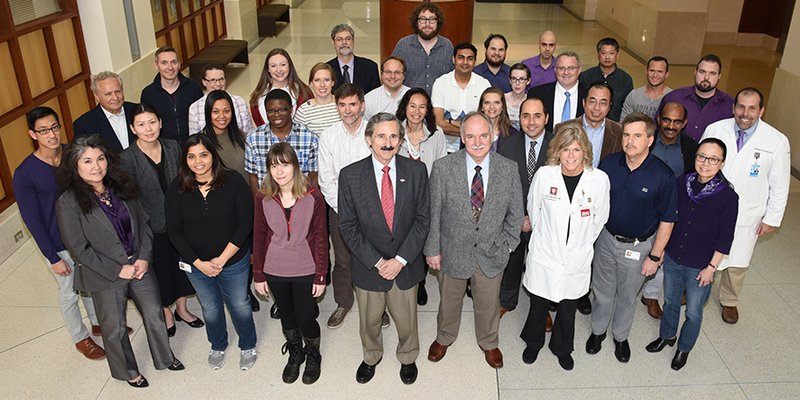 The mission of the Pancreatic Cancer Signature Center is to advance knowledge from bench to bedside to practice in a bi-directional manner that facilitates a consistent and productive exchange of ideas between clinicians, clinical investigators, physician-scientists and basic scientists from a variety of disciplines. Our inter-disciplinary collaborations will lead to improved understanding of the pathobiology of pancreatic cancer and will promote novel approaches for the early diagnosis, prevention and treatment of this malignancy. It is our hope that we will be able to markedly increase patient survival and quality of life, establishing therapeutic paradigms that will also positively impact the treatment of other cancers. Members of the Pancreatic Cancer Signature Center represent multi-site, multi-institutional basic, translational, clinical and behavioral science investigators. The following people are members of the Pancreatic Cancer Signature Center.